Company Awards - About US | PANYU CHU KONG STEEL PIPE CO.,LTD. 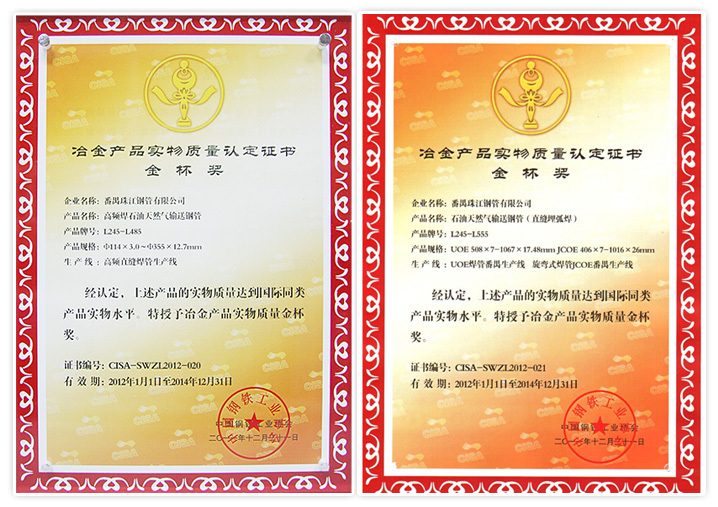 2012, PCK was recognized as one of the first batch of “Guangzhou Recognized Headquarters Enterprises”. 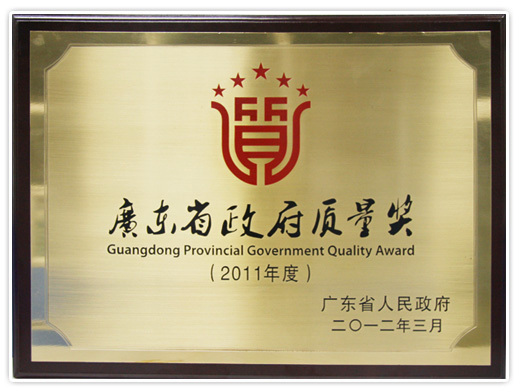 2012, PCK was awarded the title of “Guangdong Quality Award” issued by the Guangdong Government. 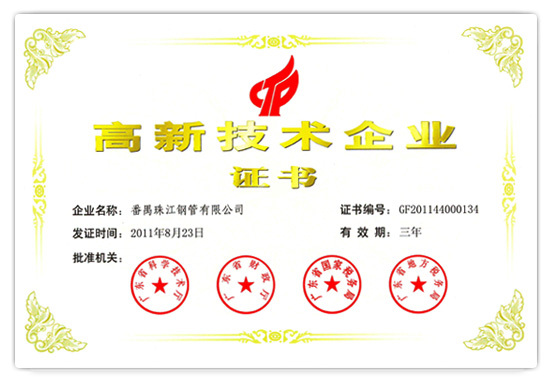 2012, PCK was awarded the title of “Guangdong Honest Enterprise for Consecutive 17 Years”. 2011, PCK was approved to set up a provincial-level corporate research unit. 2011, PCK was awarded the title of “Guangdong Model Enterprise for Harmonious Labor Relationship”. 2011, PCK Brand was awarded the title of “Top Ten Self-Owned Brands in Guangdong”. 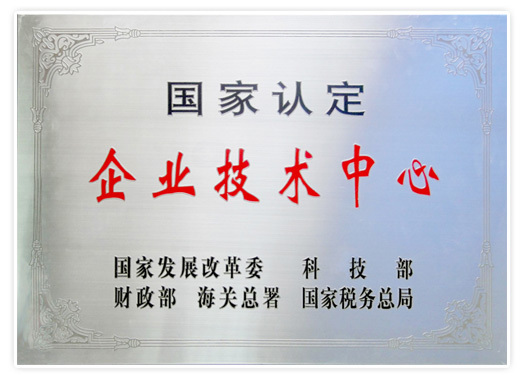 2011, PCK was awarded “The First Guangzhou Quality Award”. 2010，PCK was awarded “Guangzhou's Innovative Enterprise”. 2010,PCK was selected as the first “National Recognized Corporate Technical Center” in the industry. 2010, PCK was awarded the title of “Guangdong Top 100 Private Enterprises. 2010, PCK was identified as "Guangdong preponderant enterprise in intellectual property”. 2010, PCK was awarded “The First Prize of Advanced of Science and Technology in Guangdong”. 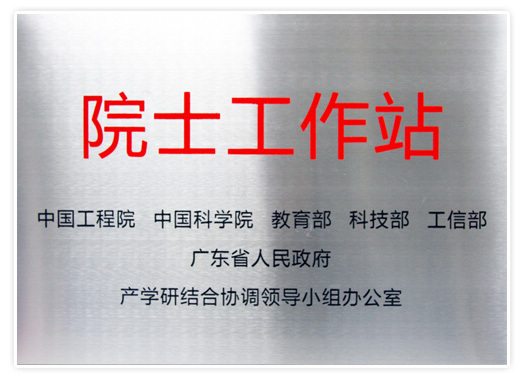 2010, PCK was approved to establish Guangdong R&D Center for Engineering Technolog. 2009, PCK was awarded the title of “Guangdong Model Integrity Enterprise”. 2009, PCK was awarded the title of National Advanced Unit within the Steel Industry. 2008, PCK was awarded the titles of “National High-and-New Tech Enterprise”. 2008, PCK has achieved Certifications from Shell Global Solutions. 2005,PCK was awarded the “Gold Medal for Physical Quality of Metallurgical Product”. 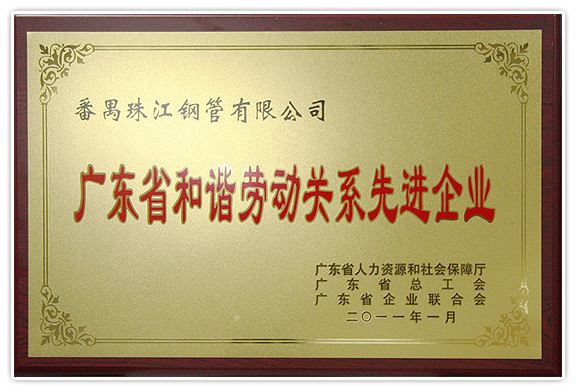 2004, PCK was awarded “Chinese Outstanding Private Enterprises”. 2004, PCK was awarded the title of “High-quality Products and Famous-brand in Guangdong Province”. 2001, PCK participated in the establishment of a Chinese standard for welded pipe. 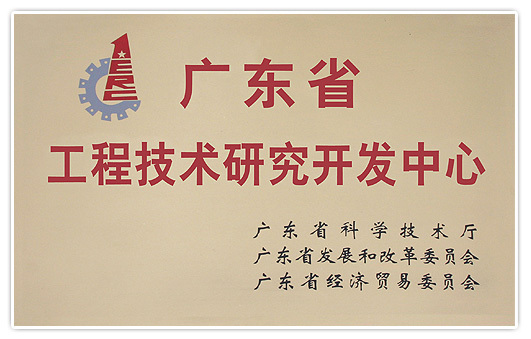 1996, PCK was awarded “Guangdong Provincial Excellent New Products”.